Among the EHT staff’s favorite modern tool innovations is the laser measuring devices that are suited for the light-duty contractor and DIY’er. These tools are also called distance-meters, ranger finders or laser “tape” measures, depending on manufacturer (or construction crew). They work similarly to a conventional tape measure but utilize a laser beam instead of metal tape. 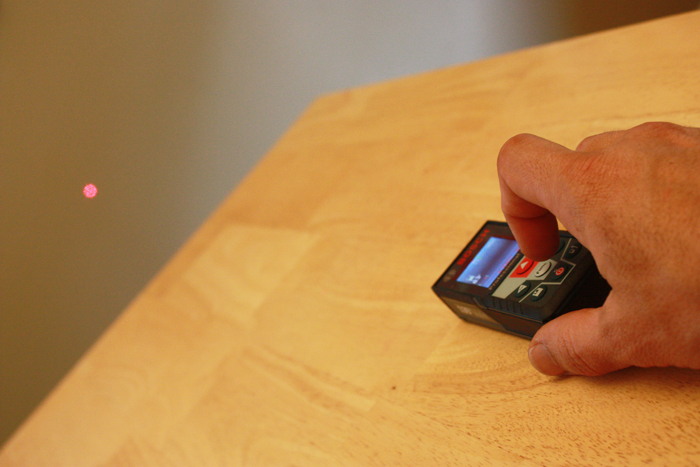 Once you have the laser aimed, just press a button and the device calculates the distance and displays it on screen. The measurement is taken with precision laser optics that accurately measure the distance of the beam that hits a target object. If there’s no wall, post or other object at the end of your measurement, you’ll need to set up a target where the laser beam can reflect. These measuring devices have a multitude of uses. They’re quicker than standard tapes. 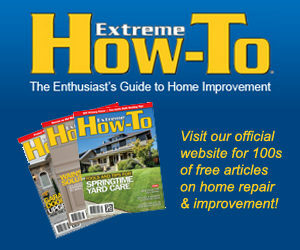 They can measure high ceilings and other hard-to-reach spaces without a second person or a ladder. Plus, they eliminate mistakes associated with a twisted or sagging metal tape. The tool offers multiple functions, including length, real-time length, area and volume. 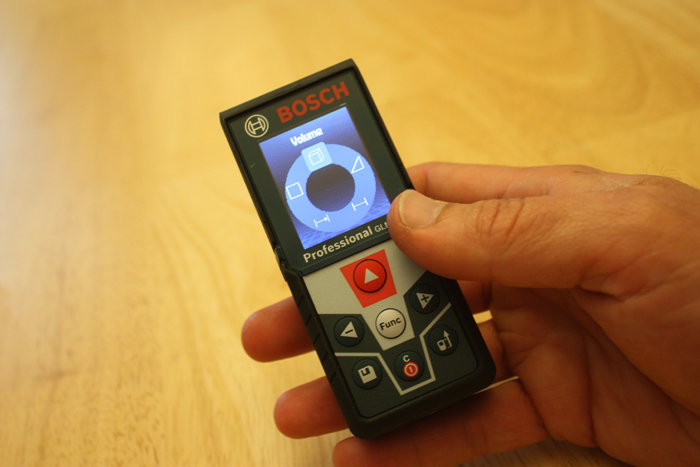 At a recent Home Depot press event, I got my hands on the new Bosch Blaze GLM 42 135 Ft. Laser Measure. With spot-on accuracy, this new laser tool has a backlit color display that makes it easier to read and use. It not only provides point-to-point length measurement but also “real time” length that automatically adjusts based on the distance the tool is from the target. Additional functions include area, volume, and indirect measuring functions (the latter of which uses two adjacent length measurements to calculate the third leg of a triangle). The Indirect Measuring function calculates distance based on the Pythagorean Theorem. The GLM 42 has a 20-measurement storage capability and addition/subtraction functionality. It takes instant and reliable (confirm it for yourself!) measurements up to 135 Ft., to size up a project in seconds. 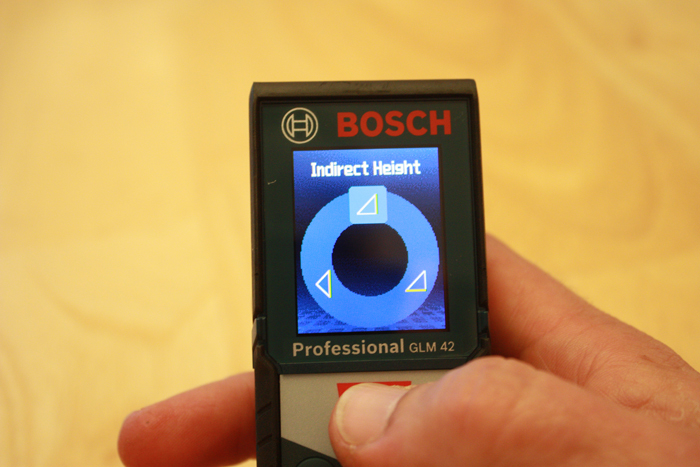 According to the product experts at Bosch, the tool is accurate to ±1/16 inch. Plus, a digital bubble vial provides a visual reference when measuring horizontal distances. 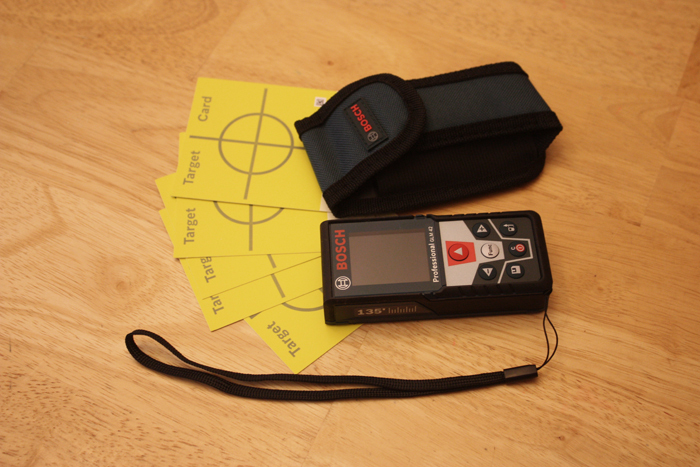 The GLM 42 comes with a protective canvas pouch that fits in any pocket and includes target cards and AAA batteries. I swear by these laser tools and recommend them for any serious DIY’er, and the new color display screen on the GLM 42 is just icing on the cake. 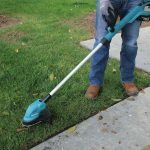 Check it out at www.boschtools.com.